During today's Apple event in San Francisco, CEO Tim Cook announced that Apple Music now has 17 million subscribers. The streaming music service is about 15 months old and already has more than half the number of paid subscribers as industry leader Spotify. The latter has been in business for more than a decade. Overall, Spotify has over 100 million subscribers, although 70 million stream the service for free using an ad-supported tier. 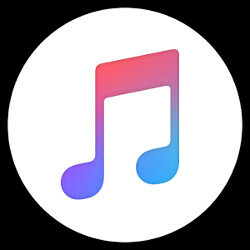 While Apple Music does not have an ad-supported plan, it does offer both iOS users and those who have downloaded the Apple Music for Android app, a one-time three month trial free trial. That is something that Spotify does not offer. Apple Music is $9.99 a month for individuals ($4.99 monthly for students) and $14.99 for a family with up to six members. As we told you the other day, you can save 18% and pay $8.25 a month for a full year by purchasing the new Apple Music gift card for $99. The card is available from the physical Apple Store, or from eBay. Cook also noted that 70 songs were exclusive to Apple Music this year, including tunes offered by big names like Taylor Swift and Drake. They will catch Spotify soon.